The Great Gatsby at Derby Theatre. 9-13 February 2016 – East Midlands Theatre. A sparkling new stage adaptation of F. Scott Fitzgerald’s The Great Gatsby will run at Derby Theatre from Tuesday 9 until Saturday 13 February. 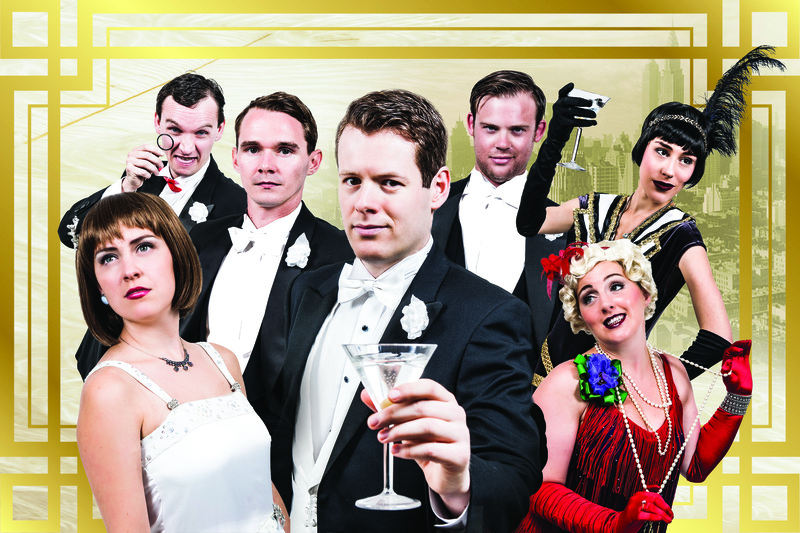 The Great Gatsby is brought to life by acclaimed Blackeye Theatre and has been commissioned to mark the 90th anniversary of the novel’s publication. This production will embark on a 98-date tour across the UK from September 2015. Recreating the sights, sounds and feel of America’s roaring 20s, as seen through the eyes of Nick Carraway, F. Scott Fitzgerald’s masterpiece is a brilliant evocation of a society obsessed with wealth and status. Adapted by Stephen Sharkey, this exciting new production features fabulous live music alongside the timeless language of Fitzgerald’s ‘Great American Novel’ to create a truly fresh and inspiring theatrical experience. Remaining faithful to the spirit and language of the original, this adaptation brings the much-loved novel to life to create a fresh, character-driven piece of theatre. Writer Stephen Sharkey comments: “like a cocktail-fuelled ride in a fast car, this adaptation moves through Fitzgerald’s great story of a doomed love and a decadent decade, heading towards its final, inevitable crash”. The Great Gatsby was voted the 20th century’s best American novel by the Modern Library editorial board, now a stellar cast including Adam Jowett (Emmerdale, Last Tango in Halifax, Macbeth); Tristan Pate (Dusty, Dreamcoats and Petticoats, Cider With Rosie); Stacey Ghent, Tom Neill Celeste de Veazey, Celia Cruwys-Finnigan and Max Roll bring this world premiere to life on stages across the UK. Tickets: £15 – £26.50, concessions available. For more information and to book tickets call the Derby Theatre Box Office on 01332 593939 or online at www.derbytheatre.co.uk.